Our Sea view Family Rooms come with en-suite shower facilities and daily housekeeping. 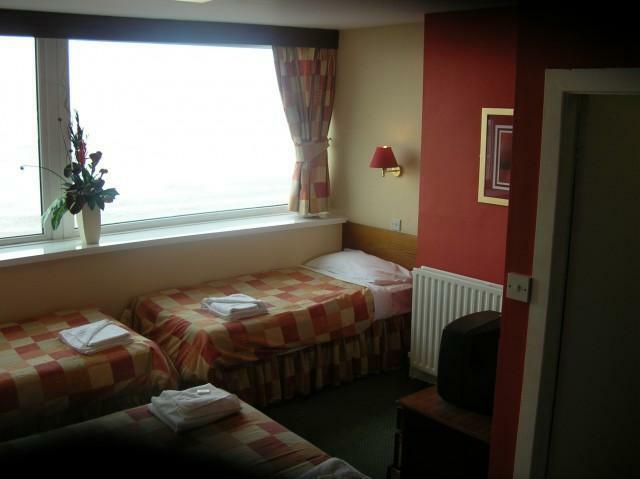 They are ideal for Familys or individuals sharing and are equipped with 1 double and 2 twin beds. Price is for room only based on 4 people sharing. This room will sleep up to 4 people.